Can Congress defund Planned Parenthood? Freshman Sen. Joni Ernst, a Republican from Iowa, wrote the bill. Unveiling the bill Wednesday, Ernst stressed that it would redirect any funds that went to Planned Parenthood to other entities that provide women's health services, including community health centers and hospitals. "There will be no reduction in overall federal funding available to support women's health," Ernst said. Majority Leader Mitch McConnell, R-Kentucky, said the legislation would help keep taxpayer dollars out of the hands of "some scandal-plagued organization." The measure is scheduled for a vote next week. But just how much funding does Planned Parenthood receive from the government? In the fiscal year that ended June 30, 2014, Planned Parenthood had $1.3 billion in total revenue. Of that, $528.4 million came from government health services grants and reimbursements. The group says the vast majority of federal dollars it receives comes from Medicaid reimbursements for providing preventative health care. That's why ending the flow of federal dollars isn't as simple as turning off the spigot. The laws governing Medicaid - the health insurance program for low-income families - prevent states from excluding certain providers solely because of other medical services they provide, like abortions. Those laws also say Medicaid recipients must be allowed to seek treatment from anyone who is qualified to perform the services. This is sometimes called a "freedom of choice" provision. In other words, the bill introduced by the Senate Republicans Wednesday - if it were to pass - would violate existing federal law and almost certainly face a challenge in court, Susan Fogel, the Director of Reproductive Health for the National Health Law Program, told CBS News. A few states already know this because they have tried to block Planned Parenthood from receiving federal Medicaid dollars. Indiana passed a law in 2011 that would have prevented Medicare recipients from seeking care at Planned Parenthood clinics across the state. The law was blocked by a U.S. district judge, upheld by a federal appeals court, and then turned down by the Supreme Court for further review. A Circuit Court panel ultimately rejected the measure to block the funding, holding that the Indiana law violated the right of the patients to get medical care "from the qualified provider of their choice," U.S. District Court Judge Diane Sykes wrote in the ruling. "The freedom of choice provision is really very strong and you're allowed to go to any willing Medicaid provider who is qualified to provide that service," Fogel told CBS News. "Planned Parenthood is absolutely qualified to provide those services, and individuals in all 50 states and the District of Columbia have the guaranteed freedom of choice to go to that provider that they choose." Similar laws in Arizona, Kansas, North Carolina, Tennessee and Texas all met the same fate as Indiana's law. But Texas finally managed to fully shut off the flow of Medicaid dollars to Planned Parenthood. Texas passed a law banning any clinic affiliated with abortion providers from receiving Medicaid funds through Texas' Women's Health Program, and the court upheld a challenge to the law. But the Obama administration said the state law violated the freedom of choice provision and cut off all the federal funds - some $30 million - for Women's Health Program. At the time of the decision, about 130,000 women used the program to receive health care such as cancer screenings and contraception. 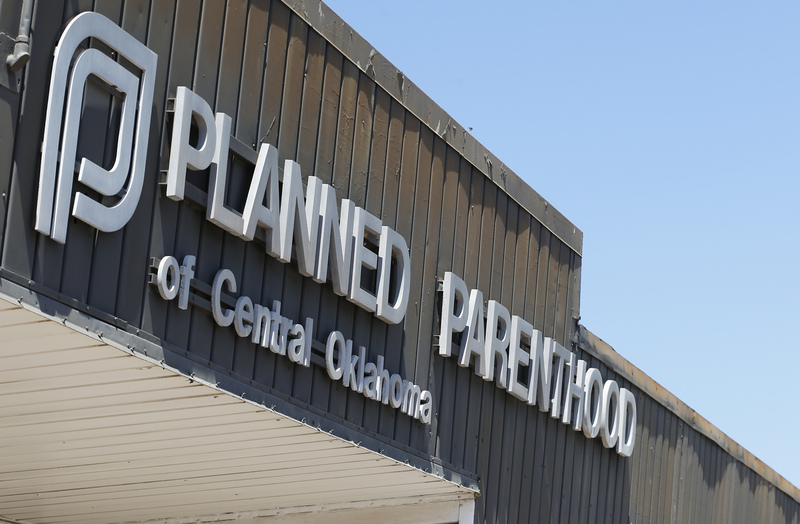 Planned Parenthood clinics served 44 percent of the women who were enrolled. No other state has taken steps as drastic as Texas. Governors who say they have defunded Planned Parenthood in their state have generally only been able to cut off state funding, not federal funding. In Wisconsin, for example, a state where 2016 presidential candidate and Gov. Scott Walker says he did just that, Planned Parenthood still receives funding through Medicaid and Title X, a federal grant program for family planning services. Since 1997, it has been illegal for organizations that provide abortions to use federal funding to do so. Planned Parenthood's abortion services - which make up just three percent of all medical procedures it performs, according to its latest annual report - are funded from a separate revenue stream. "It's outrageous, not to mention wildly unpopular, that politicians are using this widely discredited attack against Planned Parenthood to push through legislation rolling back women's access to healthcare," Dawn Laguens, the executive vice president of Planned Parenthood Action Fund, said in a statement. "They threaten to cut basic, preventive health care --- lifesaving cancer screenings, birth control, [sexually transmitted infection] testing and treatment, and well-woman exams --- from millions of Americans." Additionally, the National Family Planning and Reproductive Health Association, a network of family planning administrators and clinics that serve low-income and uninsured Americans, said smaller providers across the country won't be able to handle the influx of patients if Planned Parenthood can no longer provide many of its services. "This proposal demonstrates a lack of respect for and understanding of the preventive health needs of the millions of individuals who rely on it as their usual, and oftentimes sole, source of health care" the group's president and CEO, Clare Coleman, said in a statement. "In many communities, there are not other health care providers that would be equipped to fill the void created by the prohibition of funding for a qualified, trusted family planning provider."